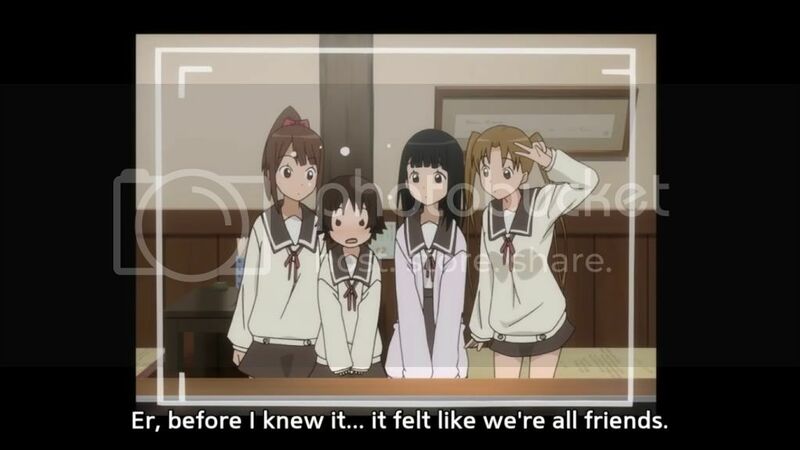 Tamayura are defined as children of the light in the anime. While I'm uncertain, I assume it is not an official photography term. Rather, I think it refers to a prettiness of lighting that is caused by the magic of emotions in various photographs. This title is appropriate via subtext. Tamayura is extremely cute and slow. It lives true to its category and is formulaic slice of life; if the formulas exist. I quite enjoy slice of life for various reasons. It is refreshing to watch an anime with a sense of realism to break the pattern of exaggerated characters, plots and settings found in the other genres. 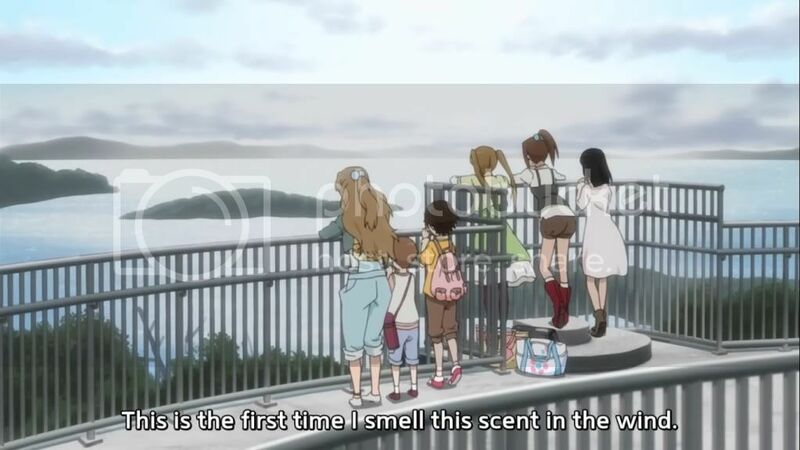 Also, while anime mostly focuses on one or many renditions of various human fantasies, slice of life focuses on presenting viewers with an opportunity at vicarious experience. I enjoy these mellow moments where my heart isn't fibrillating or skipping beats from agony and anticipation. Describing animation always stumps me, but here goes. 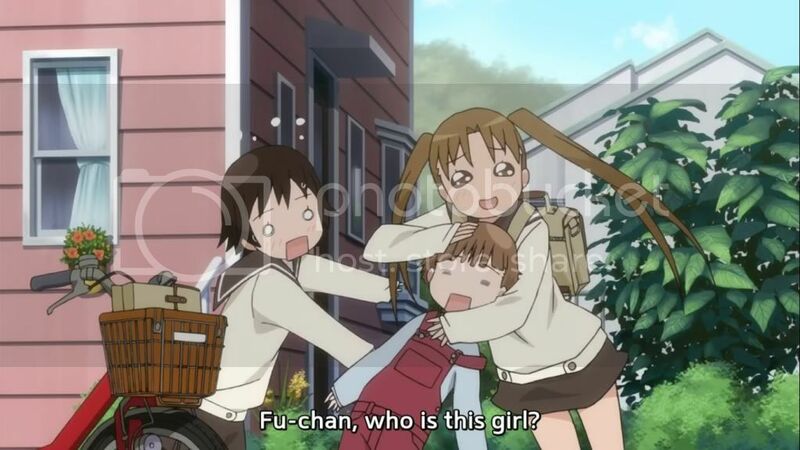 Tamayura has a cute and quirky style. It rapidly switches between shiny shojo-styled art and comical cartoon-y drawing. 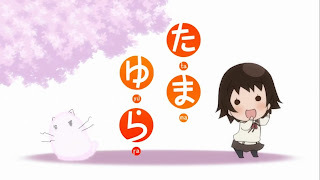 The animation is well executed and furthers character development and facilitates comedy. There is a lot more detail put into the setting and scenery than I would expect. The character sketches were realistic and appropriate for each personality. Although there was nothing spectacular about the animation, it was above average and added to the whole experience. The story is set in a coastal town in rural Japan. The town is quaint and is abundant in historic architecture. The setting is significant to the story because the protagonist Potte's father grew up in and loved this town for it's picturesque beauty and mellow ambience. We get to see a few snapshots of the townscape but spend most of our time in two cafes: one popular after school hang, out and Cafe Tamayura which is owned and operated by Potte's grandmother. 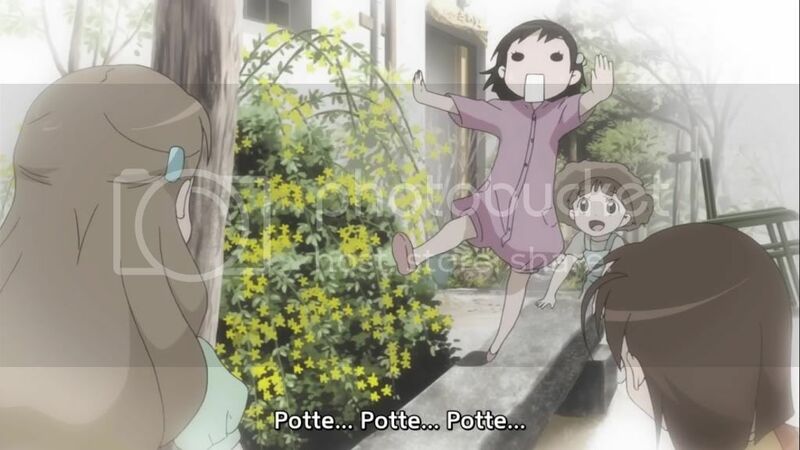 Episodes 3 & 4 focus on visiting neighbouring scenic spots in search of one particular place Potte and her father visited when she was a child. The story-telling is wonderful. It is well paced and segmented into well framed arcs. The first arc deals with character introductions. 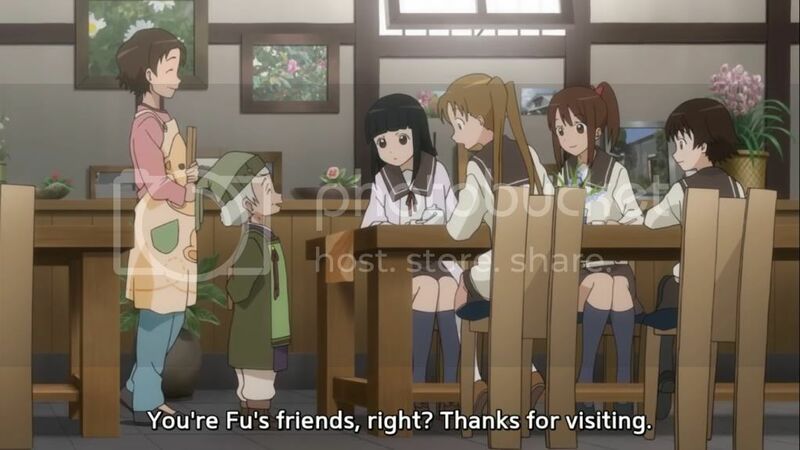 Here we learn names and become familiar with the main cast, 4 girls of the same age with little else in common. The second arc deals with Potte and her little brother Kou visiting Shihomi Riho, a photographer who is both an idol and mentor to Potte. 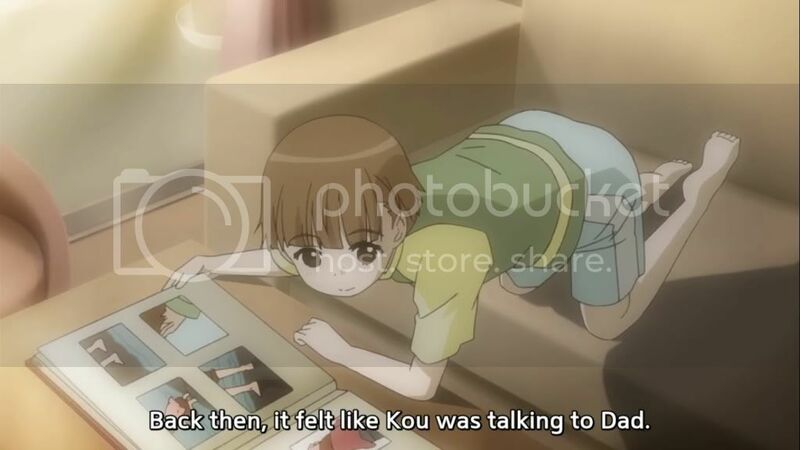 The final arc, which spans the last two OVAs, is about the search for a specific place of which Kou drew a picture of in kindergarten. The story is very simple and uneventful, but the arcs flow well together and it's not a boring story for its genre. I love these characters. They are energetic and vibrant. The main cast is composed of 4 girls with auxiliary characters introduced as they are required. The main group is Potte (officially Fu), Kaoru, Norie and Maon. Each girl has a trait that makes her unique and none of these are exaggerated beyond realism. Potte is extremely clumsy and nervous. Kaoru is the kind anchor. Norie has an infatuation with moe, especially Kou. Maon only communicates by whistling; I think she has one line in all 4 OVAs. The auxiliary characters are true to your expectations. The mother is muted and doting. The grandmother is lovingly encouraging. 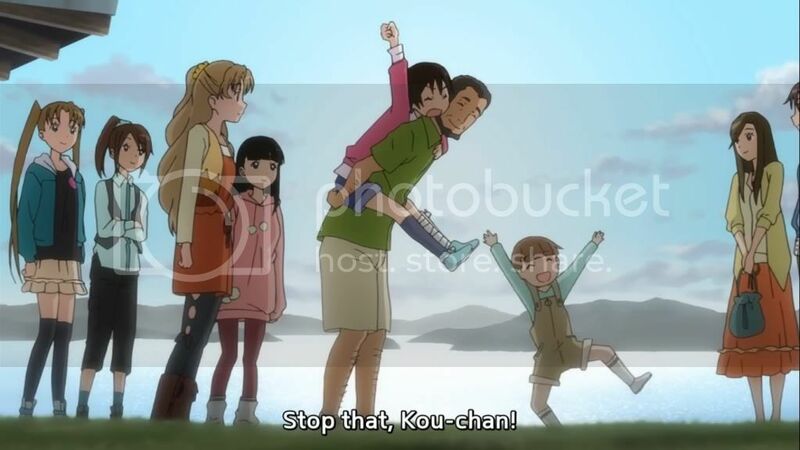 The little brother, Kou, is beyond cute. What I liked most about these OVAs was the realism and care with which the characters were developed. The personality of each character was well planned and the resultant chemistry of the group was natural. I never once questioned the behaviour or role of any character in this anime. It uses its characters very efficiently. There is a moral to this series which I did not get to mention in the preceding categories. It talks to the journey of moving past a tragedy in an optimistic sense. I'm surrounded by people who disregard and suppress the tragedies in their lives because they are difficult to confront, resolve and accept. I am one such person myself. What this series tries to bring forth is that tragedy, like death, is omnipresent and it does force you to grow up and mature, perhaps years before your time. But it is okay to embrace the happy fragments of yourself from prior times and revert back to the person you used to before the dark days. Sometimes it is better to set yourself back and move forward by constantly seeking the happiness in your memories. Eventually, you'll come to a place where you'll realize that somewhere along the way, from one search to the next, you managed to accept the facts and move on from them. And that is a truly happy feeling. If slice of life is your cup of tea, I would recommend investing the 45 minutes it takes to watch these 4 OVAs. It will not disappoint you. If excitement or an eventful plot are what you're looking for, don't waste your time with this one. It is the embodiment of uneventful entertainment. Not only is slice of life a favourite genre of mine, but this was exceptionally done for such a short series. The art, the writing, the dialogue, the characters, all the little pieces fit together magically. The last time I felt so pleased with an anime of such slow pace was when I watched Kino no Tabi years ago. 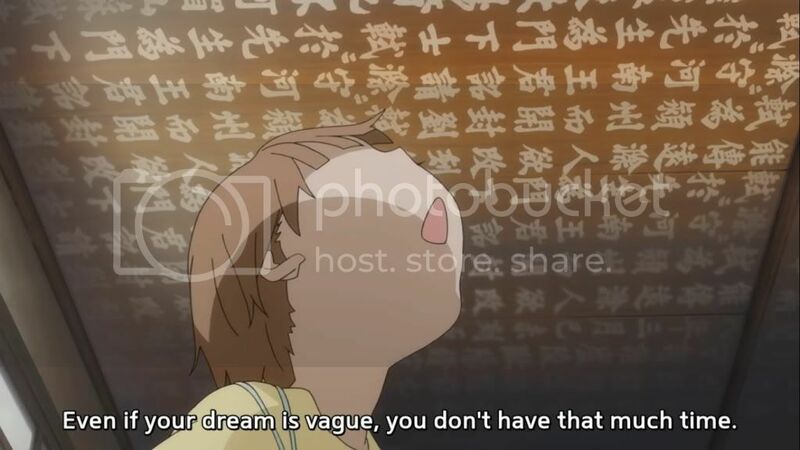 Of course, since all 4 OVAs fit into the time of 2 episodes of Kino, Tamayura doesn't fair as highly in the ranks because it doesn't cover as much ground. Yet, it was executed with the same charm and tact, and I look forward to seeing how the TV series in this Autumn's line-up will built upon or destroy this mini series.